Home / AKA / Celebrity / DJ Zinhle / Does Lynn Forbes want AKA and Zinhle to get back together again? Does Lynn Forbes want AKA and Zinhle to get back together again? 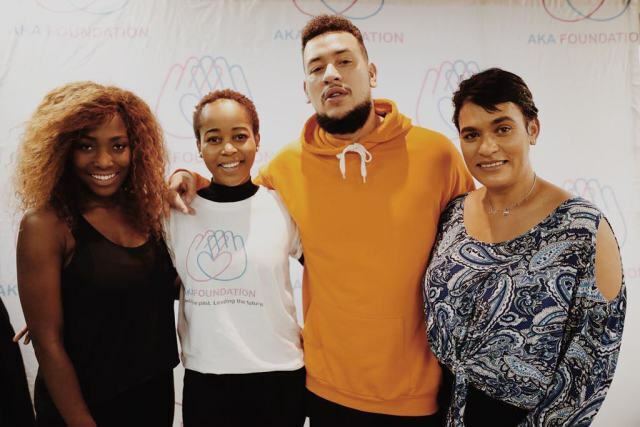 AKA ‘s mom had to answer this question on her Instagram account after one of her fans had asked what her thoughts on that issue. 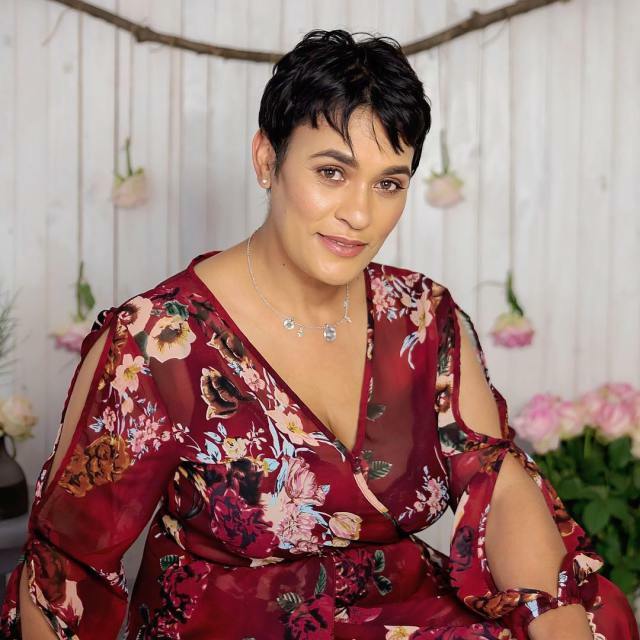 Lynn Forbes is one of South Africa’s most inspirational speakers, we first met her through her son, AKA and since then, she has managed to use her platform to inspire thousands. A couple of weeks ago, Lynn summited Mount Kilimanjaro as part of the Trek4Mandela team. 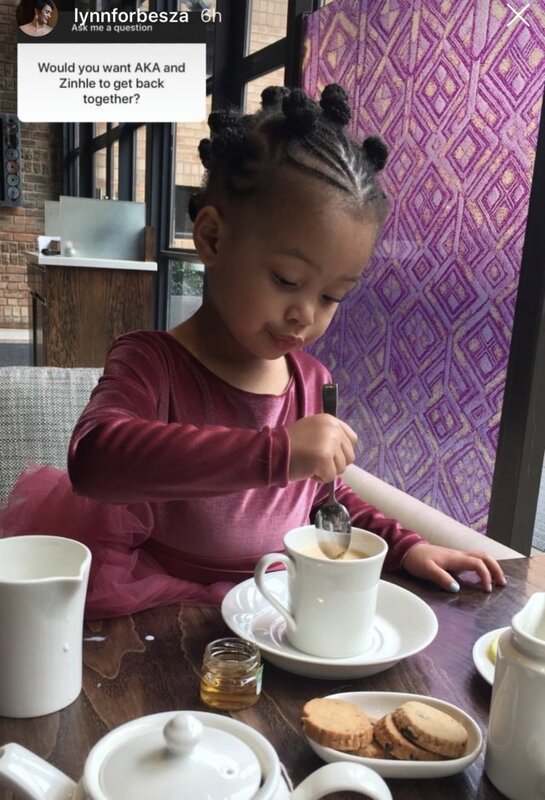 She simply responded with a picture of Kairo about to ‘sip her tea’. 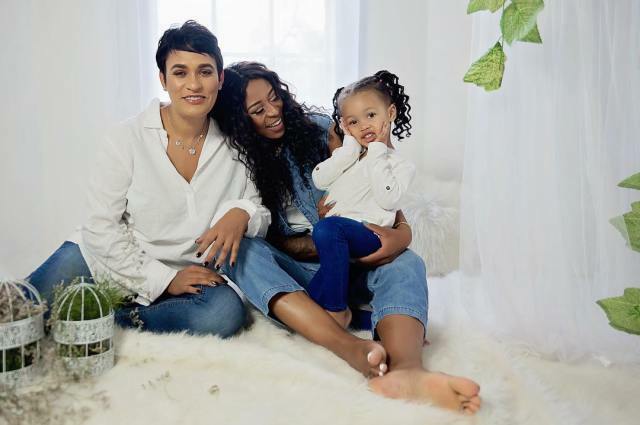 What a clever woman she is, but we all know that her relationship with Zinhle is good and she would like to see the parents of her granddaughter get back together.